Bartlett Cove in Glacier Bay National Park & Preserve. Hello, folks! It's been a hot minute since I've been on here. If you keep up with my Instagram, you'll know that I've spent the past week in Alaska with my boyfriend and our family (without whom this trip would not have been possible). This Sunday is my first day back; my flight landed at 5:00 AM today and I climbed right into bed after arriving home from LAX! Flying is very tiring for an activity where you spend the entire time sitting. 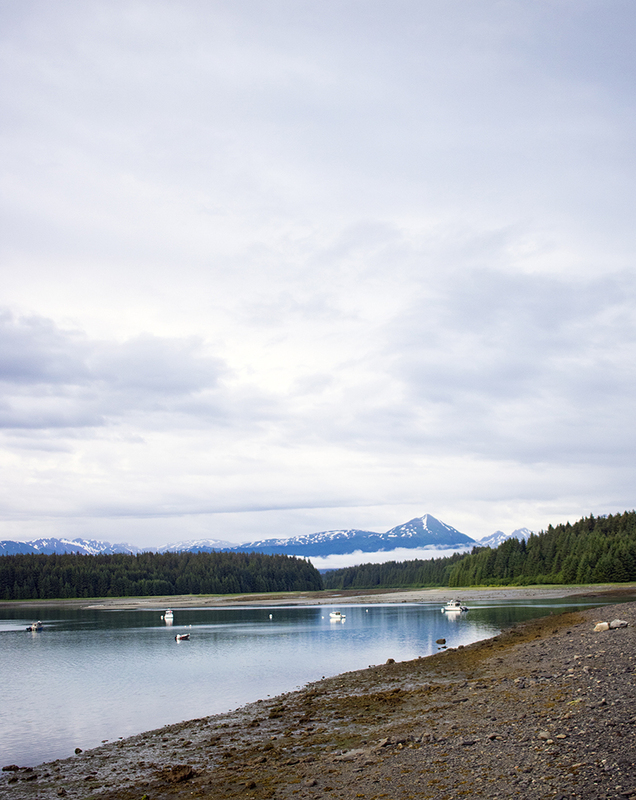 I'm saving what I did this week for my upcoming Alaska posts (finally, real travel posts! ), but I gotta say that it was amazing experience. We stayed in Gustavus, Alaska that's a stone's throw away from Juneau. 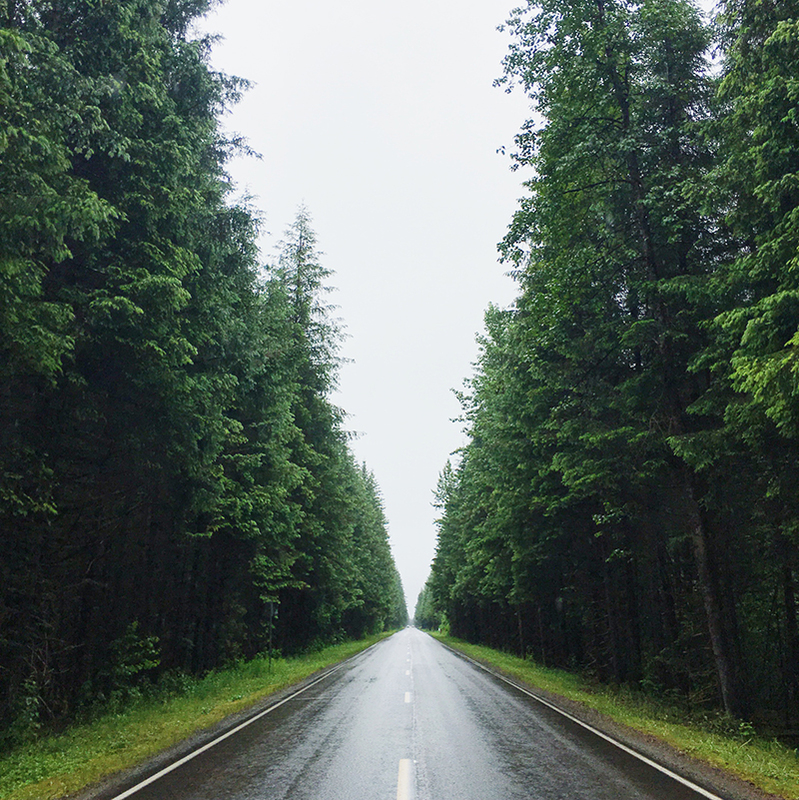 We spent the week in Glacier Bay National Park and Preserve which meant we were right in the Alaskan rainforest! The city of Gustavus is so small that a week was just enough for us to do everything short of fishing and kayaking. 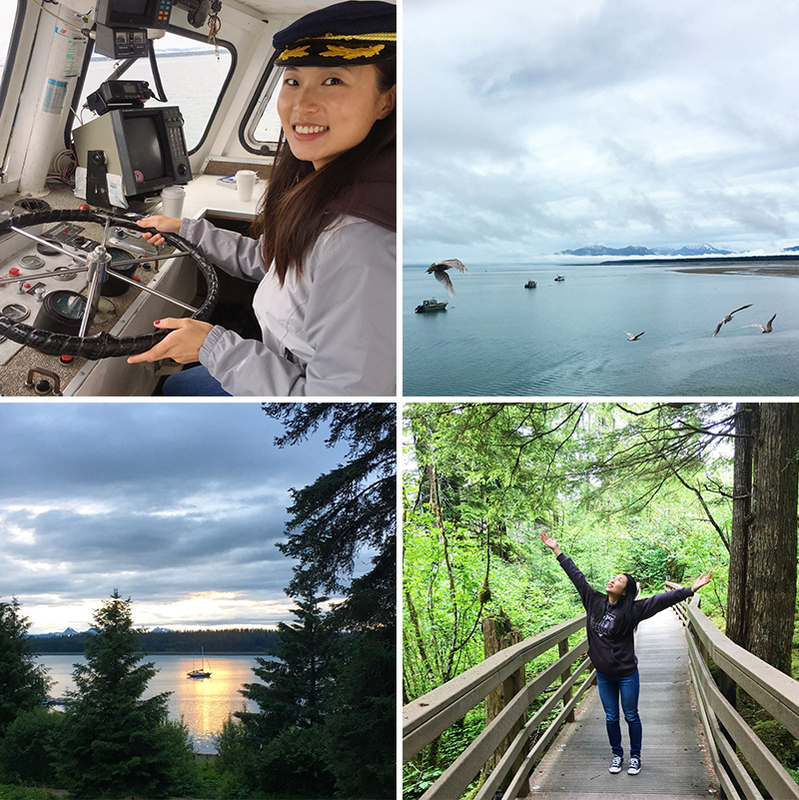 Here are a few of many highlights: we went on a whale watching excursion in Icy Strait where I got to drive the boat for a bit. The skies were pretty much always overcast and it rained fairly often, giving the landscape a foggy, forlorn, and moody appearance. We were so close to the Arctic Circle that sunset was 11 PM (that midnight sun!) and even the nights were never pitch black. We ended every evening with a walk in the forest! Suffice to say that returning to Pasadena is a bit of shock. I've been drowsy most of today and it seems too sunny. I'd love some cool Alaskan weather with a spot of rain right about now. Our Independence Day falls on this coming Tuesday. I plan to spend tomorrow catching up on work from home and getting into the swing of the week. I have lab meeting on Wednesday and a new revision to turn in. A few people have reached to me for photography work and collaborations via Instagram so I also have two shoots lined up this week. I shot a new model/friend I met the week before I left for Alaska that I'm in the middle of editing. I realized that I have a bunch of shoots that need completing! If only I got to do this full time! We're too fried from unpacking/cleaning to cook tonight so we're ordering takeaway and having a relaxed night. I've painted my nails this afternoon to transform myself from a Forest Girl to a City Girl. Now working on hydration and getting nutrients. Does anyone else feel hungover after long plane rides? I plan to finish out the night with a face mask and long sleep. Tell me about you! What did I miss while I was gone? Hey! Welcome back to SoCal, Alyse! I've been following your adventures on Instagram and everything looks amazing! Glad to hear that you enjoyed your trip to Gustavus :). It's so cool that you got to see the sun being out til 11 PM! This is probably on my goals list some day just to see how it feels like XD. Hope you'll adjust to our time zone soon. Sounds like you're going to have a busy week. Hope you'll enjoy every moment of it! I know I feel hungover after long plane rides. I'm still a bit jet lagged from my recent work trip! Excited to hear about Alaska - I've never head much about it! Tat trip sounds and looks beautiful! I hope it was the best. Shoots are exciting; congrats on the opportunities! Welcome back! Your photos look(ed) amazing, can't wait to see more :) love that picture of you driving the boat, captain hat and all too! What was it like where it wasn't ever properly dark? Alaska has been on my wishlist ever since I even really knew I loved travelling. Definitely looking forward to reading your travel posts! Wow such beautiful photos! I love how green everything is.